Hey Hayward! : Plastic plumbing... soon to be permitted in Hayward homes? Plastic plumbing... soon to be permitted in Hayward homes? Tomorrow the City Council will consider ending Hayward's long standing prohibition of plastic plumbing in homes and other buildings. 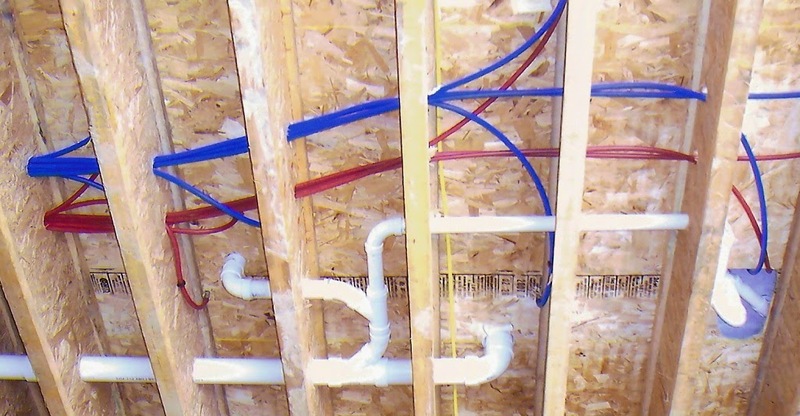 PEX, ABS, PVC, and CPVC pipes and fittings are all allowed by the California Plumbing Code. However, Hayward has traditionally adopted the State code with amendments that specifically forbid them. While this may have been warranted decades ago following initial quality concerns, doing so now just serves to add excessive costs to new construction and remodeling projects. As a result, this prohibition generates a considerable amount of ridicule directed at the City. Many project owners and contractors with whom I'm familiar consider the ban incredibly burdensome and unnecessary. It's one of the frustrating hindrances frequently mentioned when discussing development in Hayward. Now numerous city departments have come around to recommending that the restrictive amendments to the State plumbing code be eliminated. I wholeheartedly concur. If the Council acts as recommended, construction using plastic plumbing materials may be permitted by the end of February. It is about time that Hayward's City Council and staff put the interests of citizens ahead of their campaign contributors. Not only is PEX somewhat less expensive than cooper, but it is also less likely to be damaged in an earthquake because it is more flexible and won't break if it is twisted or bent as can happen in more significant quakes. Kudos to city departments who are finally putting the people who pay their salaries ahead of the interests of unions who know modern plumbing is easier for homeowners to work on without hiring a plumber. While I don't deny that PEX pipe is more flexible, I have no doubt that a PEX expansion connection could easily fail in an earthquake. Your assertion that a PEX plumbing system can withstand greater seismic movement than copper tube is unfounded.